The Belgium study, published in the Journal of Applied Social Psychology, alleges that people with sweaty armpits, smelly feet, or bad breath are likely to attract more compassion. Three tests were conducted that validated the team’s findings. 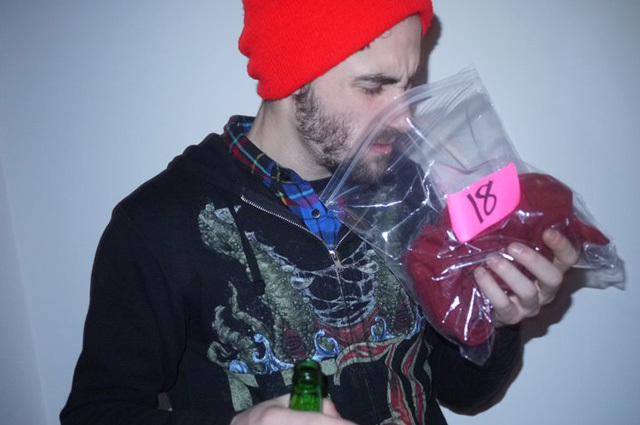 – Test 1: Subjects were divided into two groups and given shirts “belonging to coworkers” to smell. One group sniffed a neutral-smelling t-shirt and the other sniffed a t-shirt doused in beer, sweat, hydrogen sulfide and fart spray. Afterwards, study participants were asked “how they felt” about the person. Those who smelled the soiled shirts said they felt sorry for their coworkers. – Test 2: Participants were asked to complete a maze on their own. Next, they were asked to complete a maze while sitting next to someone with either a neutral-smelling or stinky smelling shirt. Later, they were asked to divide 11 credits between themselves and the other person. They were told the people with the most credits would receive free movie tickets. The people sitting next to the stinky-shirt people donated more credits than the people sitting by non-stinky people. – Test 3: Forty-two undergraduates were greeted by a latecomer wearing a shirt drenched in alcohol and beer. When asked why they were late, they gave one of two responses: they had stopped by a bar for a drink or they had been invited to a reception. They then completed the same maze experiment together with promise of free movie tickets for the individuals with the most points. Researchers found smelly partners received more points — specifically, the smelly partners who felt compelled to attend the reception (and who were seen as innocent victims of body odor). 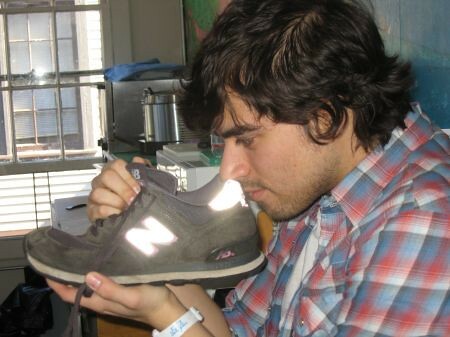 Do Smelly Feet, Stinky Shirts, & Bad Breath Inspire Pity? Researchers concluded that there are certain situations in which “a person’s unpleasant body odor increases others’ helping behaviors.” People were overwhelmingly more generous to stinky strangers and more likely to give them the benefit of the doubt. However, researchers conceded that their experience was not necessarily true-to-life. They added that the risk of being continually exposed to a stinky partner was not a factor. “It’s conceivable that regular, ongoing exposure to bad body odor could change that pity into annoyance,” Salon Magazine reported. Most People Would Rather Not Suffer With Body Odor! Despite what researchers in Belgium found, body odor is still an embarrassing and potentially hurtful problem. Everyone in my elementary school class felt just awful one day when the girl found a mean note written about her and burst out in tears. Some students were unabashed, but most kids vowed to end the bullying and offered a heartfelt apology. Surely the girl would have said she’d rather not have people’s pity at all. The best outcome would be an end to sweaty armpits, smelly feet, and bad breath for good! We can’t help you find the best deodorant or mouthwash, but we do have a solution for smelly feet. How Long Does Toenail Fungus Treatment Take? A Nail Expert Weighs In: Why is Toenail Fungus So Challenging to Treat? The Amazing Powers of Coconut Oil: A Cure For Athlete's Foot?